House Energy and Commerce Committee Reports Pipeline Safety Reauthorization Bill. On April 27, the House Energy and Commerce Committee reported H.R. 5050, the Pipeline Safety Act of 2016, reauthorizing appropriations for the Pipeline and Hazardous Materials Safety Administration's (PHMSA) pipeline safety programs through FY 2021. Similar to H.R. 4937, reported by the House Transportation and Infrastructure Committee on April 20, this bill would authorize PHMSA to issue industry-wide emergency orders to address “imminent hazards,” require that PHMSA establish minimum safety standards for underground natural gas storage facilities, and provide periodic status updates to Congress on outstanding statutory mandates. The bill would not require that hazardous liquid pipelines submit unredacted oil spill response plans to Congress. The two House Committees must now reconcile their reauthorization bills prior to consideration by the full House of Representatives. The Senate previously passed a reauthorization bill (S. 2276) on March 3. Van Ness Feldman has created a side-by-side chart comparing the three pending reauthorization bills. Contact Susan Olenchuk for a copy. PHMSA Extends Deadline for Submitting Comments on Proposed Gas Rules. On May 5, PHMSA extended to July 7 the deadline for submitting public comments on the Notice of Proposed Rulemaking (NPRM) for Gas Transmission and Gathering Lines. On June 8, PHMSA will convene a webinar on the proposed rule and will discuss the proposed rule at its June 2016 technical advisory committee meetings. The webinar previously scheduled for May 12 has been cancelled. Van Ness Feldman has created a redline of PHMSA’s Part 191 and Part 192 regulations showing how the notice of proposed rulemaking would affect the regulatory text. Contacting Susan Olenchuk for a copy. PHMSA will convene technical advisory committee meetings. On June 1-3, PHMSA will convene meetings of the Gas Pipeline Advisory Committee (GPAC) and the Liquid Pipeline Advisory Committee (LPAC). The GPAC will discuss PHMSA’s NPRM on the use of plastic pipe in gas systems, and both committees will discuss PHMSA’s NPRM addressing operator qualification, cost recovery, and other issues. PHMSA also will brief the committees on the NPRM on gas transmission and gathering pipelines. The meetings will not be webcast. 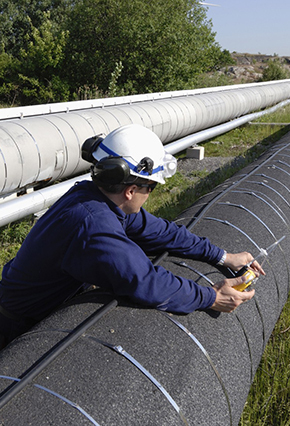 PHMSA will hold public workshop on safety of underground natural gas storage. On July 14, PHMSA will hold a public workshop to discuss potential future safety regulations for underground natural gas storage. The workshop will take place in Broomfield, Colorado, and will be webcast. PHMSA awards one-call grants to states. On April 26, PHMSA announced a grant package of more than $1.2 million to state One-Call centers that respond to the national 8-1-1 hotline. One-Call grants are designed to provide funding to state agencies to promote damage prevention. PHMSA offers grants to universities for pipeline safety research. On April 26, PHMSA announced that it is accepting applications for its Competitive Academic Agreement Program. Colleges and universities may apply for grants to fund research into (1) innovative solutions to prevent or mitigate pipeline corrosion and (2) the interaction of cured-in-place pipe (CIPP) liners with cast iron pipelines at bends, valves, and service taps. PHMSA expects to award up to five agreements of up to a maximum of $300,000. Each project must be able to obtain 20% of its funding from a non-federal source. Applications are due June 9. PHMSA Rulemakings Update. The tables below summarize the status of PHMSA’s rulemakings as reported in the Department of Transportation’s (DOT) April Significant Rulemaking Report and by the Office of Management and Budget’s (OMB) Office of Information and Regulatory Affairs (OIRA) in the Fall 2015 Unified Regulatory Agenda. Revised dates appear in bold. TSA seeks comments on the renewal of information collection and submits revised information collection to OMB. On May 2, the Transportation Security Administration (TSA) issued a notice requesting comments on the proposed renewal of an information collection (IC) entitled “Pipeline Corporate Security Review Program,” which was developed to assess the current security practices in the pipeline industry. Comments are due July 1. On May 6, the TSA issued a notice announcing that it is submitting its February 25 proposed renewal, with revisions, of an existing IC entitled “Pipeline System Operator Security Information” to OMB for approval. The proposed renewal will no longer collect pipeline operator security manager contact information, because this information is available from another source. Comments are due to OMB by June 6. Industry groups argue NWF lawsuit against DOT belongs in D.C. Circuit, and NWF moves for summary judgment. On April 27, the American Petroleum Institute (API) and the Association of Oil Pipe Lines (AOPL) submitted a joint amicus brief arguing that the lawsuit brought by the National Wildlife Federation (NWF) against the DOT must be decided by the D.C. Circuit. NWF’s complaint asserts that DOT failed to review pipeline operator response plans in accordance with the Oil Pollution Act (OPA) and a related presidential executive order. According to API and AOPL, the D.C. Circuit has exclusive jurisdiction over claims relating to regulations promulgated under the OPA. On May 4, NWF filed a motion for summary judgment to compel DOT to review and approve response plans as required by the OPA. On December 11, 2015, the Arizona Corporation Commission (ACC) proposed to incorporate by reference federal pipeline safety standards and forms that have been adopted through October 1, 2015, and to make certain rules consistent with the federal pipeline safety regulations. On March 28, Spectrum LNG filed comments regarding the non-destructive testing of welds at liquefied natural gas (LNG) facilities and urged that the ACC defer revising LNG regulations until PHMSA completes its recently initiated process to examine and modify federal LNG safety regulations. ACC staff responded on April 15. On May 5 the ACC issued an order directing the Safety Division/Legal Division to file by May 6 with the Office of the Attorney General a request for renewal of the rule revisions including a Notice of Emergency Rulemaking (renewal). More information, including status of the emergency NPRM currently in effect incorporating currently effective federal regulations, is available here. ACA11 (Gatto): This Assembly Constitutional Amendment would propose to the voters of California an amendment to the California Constitution which would authorize the Legislature to relocate or reassign all or a portion of the functions of the California Public Utilities Commission (CPUC) to other state agencies. The amendment would direct the Legislature to adopt structures to provide for greater accountability for state public utilities and to focus on safety, reliability, and ratesetting, and effective January 1, 2019, would repeal provisions of the California Constitution relating to the CPUC. The Committee on Utilities and Commerce passed and re-referred the amendment to the Committee on Appropriations on April 21. On February 29, the North Dakota Industrial Commission issued a Full Notice of Intent to Adopt and Amend Administrative Rules. Public hearings were held in April regarding proposed regulatory changes that will affect, among other types of facilities, underground gathering pipelines capable of transporting crude oil, natural gas, carbon dioxide, or produced water and salt water handing facilities. For pipelines, the proposed revised rules address information reporting, access to records, bonding, and a wide range of safety requirements, including construction, notification, design, installation, inspections, pipeline rights of way, geographic information system locational data, operations, leak detection, spill response, corrosion control, pipeline integrity, repairs, and abandonment. The proposed rules also contain a number of provisions affecting saltwater handling facilities. Hearings were held on April 11-13 and comments were filed by April 25. The comments are available here. On April 29, the Sunset Advisory Commission, the state legislative body responsible for periodic agency review, published a staff report identifying issues and making recommendations to improve the function of the Texas Railroad Commission (TRC). The report recommends, among other things: (1) renaming the TRC as the Texas Energy Resources Commission to more accurately represent its current functions; (2) transferring authority over gas utility regulation, and contested gas utility cases, to the Public Utility Commission and the State Office of Administrative Hearings, respectively; (3) requiring the TRC to track and measure the effectiveness of its oil and gas monitoring and enforcement, and develop a process for issuing expedited penalties; (4) increasing the number of blanket bond tiers to better reflect risk and increase equitability; and (5) authorizing the TRC to enforce damage prevention requirements for interstate pipelines, and to create a pipeline permit fee. The Sunset Advisory Commission will next conduct a hearing to address comments on the staff report, before issuing a second version of the report. On April 28, the Washington Utilities and Transportation Commission (WUTC) and PHMSA jointly published a failure investigation report determining that the primary cause of a March 2014 explosion at a liquefied natural gas (LNG) peak shaving facility in Plymouth, Washington, was inadequate purge procedures following routine maintenance. According to the report, the inadequate purge allowed oxygen to remain in the system and mix with gas, which ignited upon startup. In a separate violation report, PHMSA and the WUTC allege a violation of regulations that require adequate purging procedures. In a letter to PHMSA dated April 15, the WUTC requested that PHMSA issue an advisory bulletin on gas purging guidelines, and initiate a rulemaking to update the Part 193 regulations governing LNG.